I had totally forgotten that I purchased these two candles from Bath and Body Works earlier this Summer!! Somehow they got misplaced and pushed to one of the far corners of my closet (this is becoming an increasing trend for items that I purchase). Luckily for me, I just used up my last “Summery” candle the other day and I wasn’t quite ready to bust into my “Spicy Fall” candles yet! 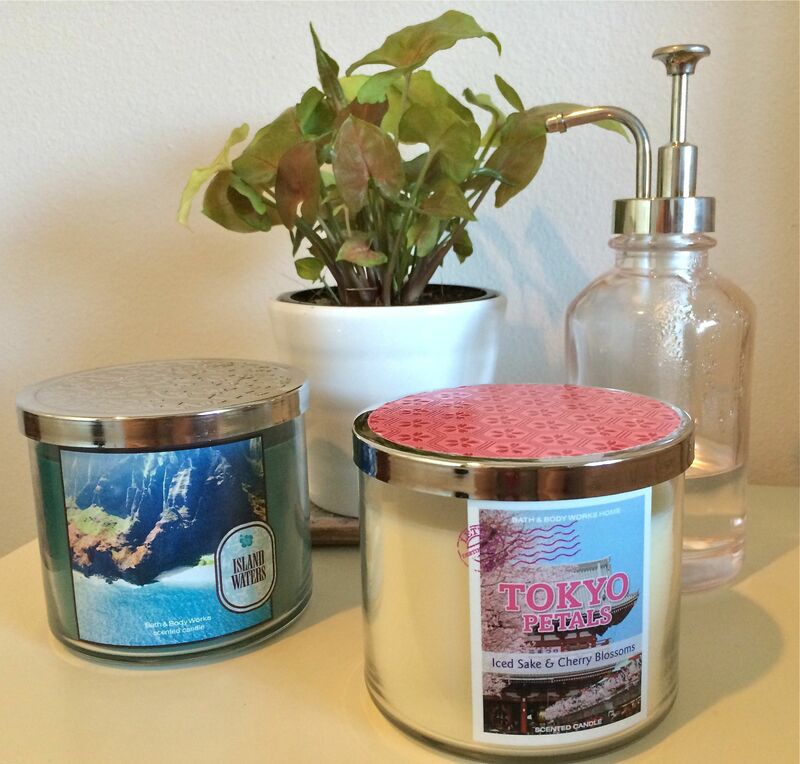 ISLAND WATERS: A mix of water notes, lush green palm leaves and a hint of fresh cut bamboo. TOKYO PETALS: An exotic combination of Japanese iced sake, delicate cherry blossoms and a hint of berries. As a side note, I have been cleaning off the stickers and popping out the wax when I am finished with the candles and they’ve make excellent containers!! I am planning on using next candle as a makeup brush holder!